This week’s Whatcha Crockin’ crock pot recipes include Crock Pot Chicken and Noodles, Crock Pot Chicken Enchilada Dip, Crock Pot Calico Beans with Bacon and Ground Beef, Crock Pot French Onion Beef Sliders, Crock Pot Italian Pot Roast, Crock Pot Hamburger Soup, Slow Cooker Chocolate Football Rice Krispies, Crock Pot Apple Stuffed Acorn Squash and much more! 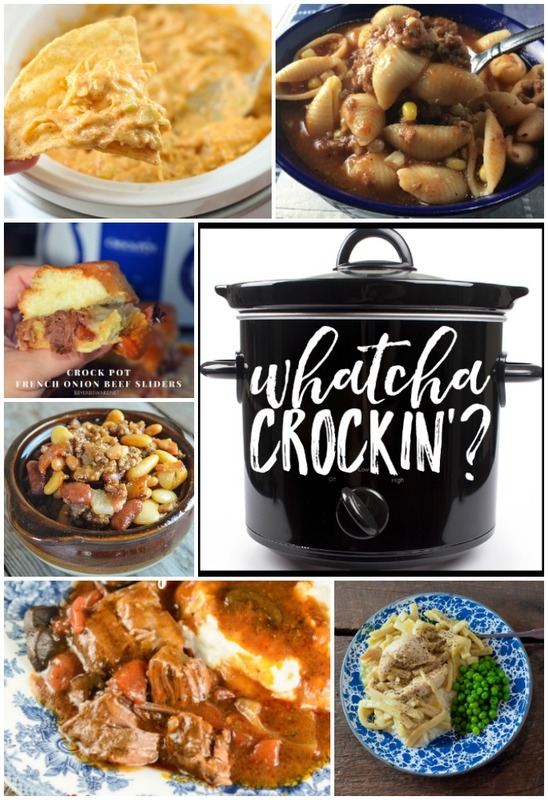 Welcome to week FORTY ONE of Whatcha Crockin’ link ups with our blogging friends!!! We – along with Leah, Cris and Liz – are so grateful to all the bloggers that link up their delicious crock pot recipes each week. This week you we have some crock pot recipes you don’t want to miss from around the blogosphere. So let’s get crockin’! 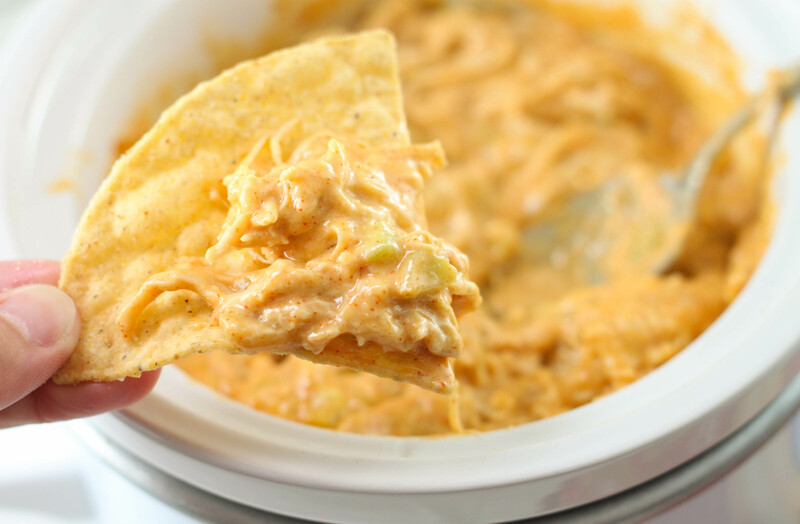 Liz from Farmwife Cooks is sharing this Crock Pot Chicken Enchilada Dip. 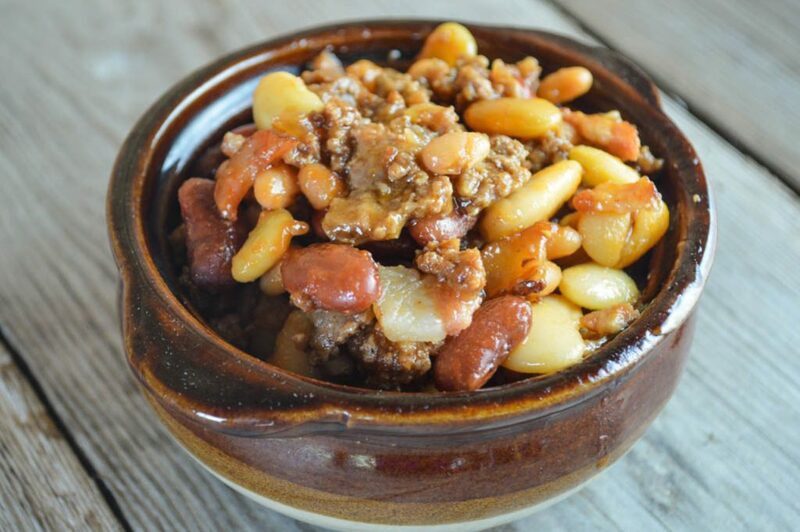 Barbara and I are sharing our Crock Pot Calico Beans with Bacon and Ground Beef. 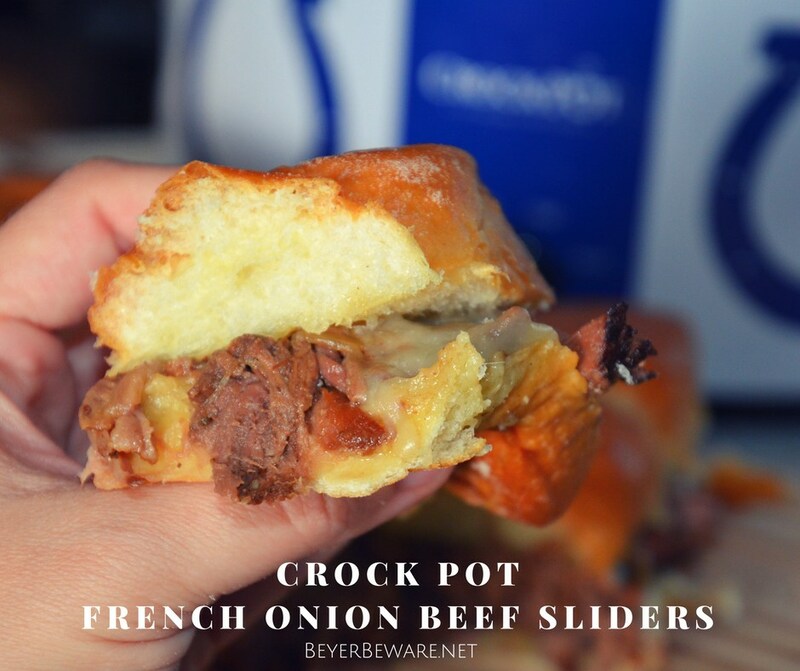 Leah from Beyer Beware is sharing Crock Pot French Onion Beef Sliders. 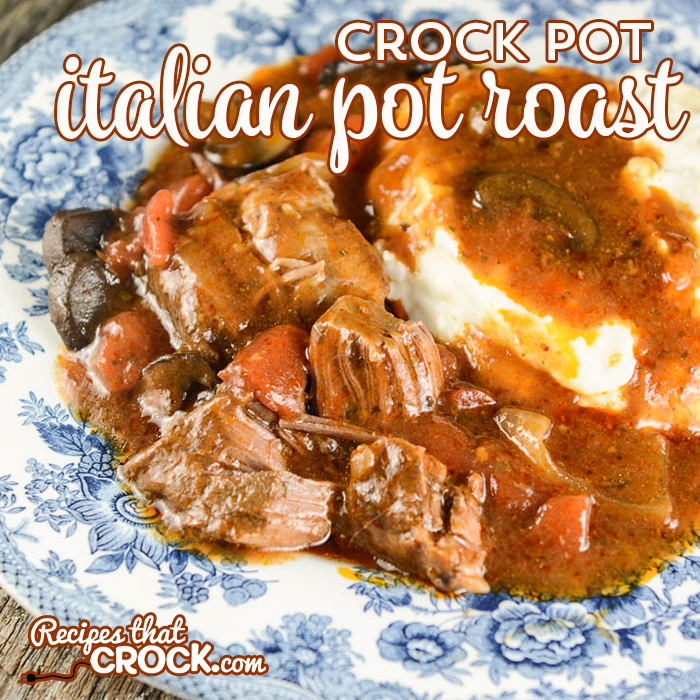 Cris from Recipes that Crock is sharing Crock Pot Italian Pot Roast. 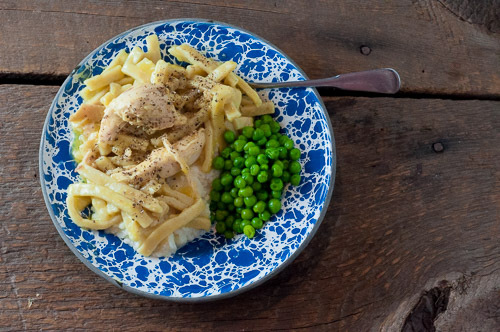 The Farmwife Feeds has the recipe with the most clicks from last week with Crock Pot Chicken and Noodles. 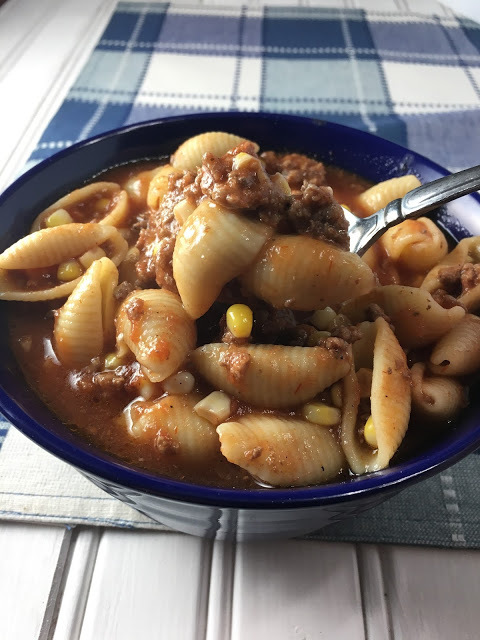 Chasing Saturday’s shared Crock Pot Hamburger Soup. 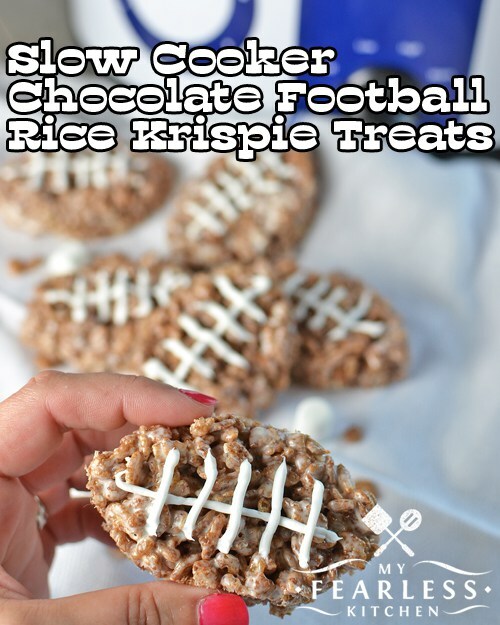 My Fearless Kitchen shared Slow Cooker Chocolate Football Rice Krispies. 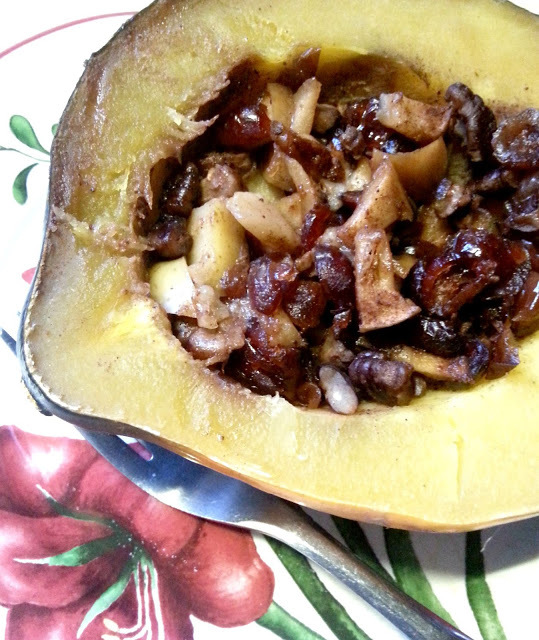 The Better Baker shared Crockpot Apple Stuffed Acorn Squash.